In need of a breath of fresh air or a little inspiration? The Eastern Cape has so many outdoor experiences to offer visitors seeking an escape from the hustle and bustle of city life. Choose from elephant back safaris, guided hiking tours through nature reserves or pat a cheetah at the Daniel Cheetah Breeding farm. Atop this stretch of Eastern Cape land, a lookout point was built by Sir Percy Fitzpatrick, the author of the well-known novel turned movie, Jock of the Bushveld. It was Percy’s intent to preserve the beauty of the Eastern Cape‘s landscape so that future generations may have the opportunity to admire and appreciate the splendour of their natural surroundings. Sir Fitzpatrick and his family were the first to install a watering system that enabled the successful growth of citrus farms in the area. The Addo Reptile and Raptor Park which is a few minutes’ drive from Woodall, offers visitors an entertaining and interactive opportunity to learn about snakes, birds of prey such as vultures, eagles and hawks that are brought to the sanctuary due to injuries suffered from in the wild. 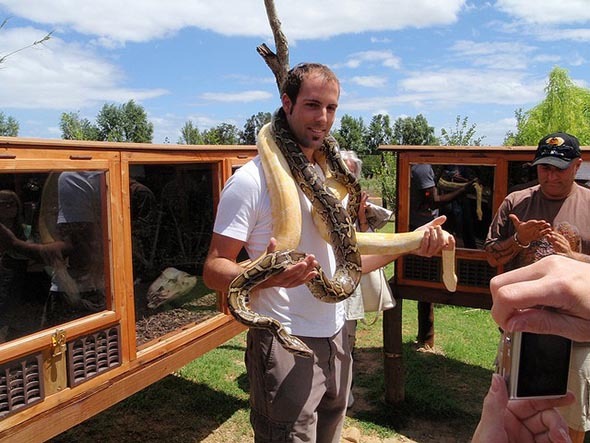 The Reptile Park also offers educational programmes where a handler talks about the nature of the reptile whilst participants come face to face with the subject. 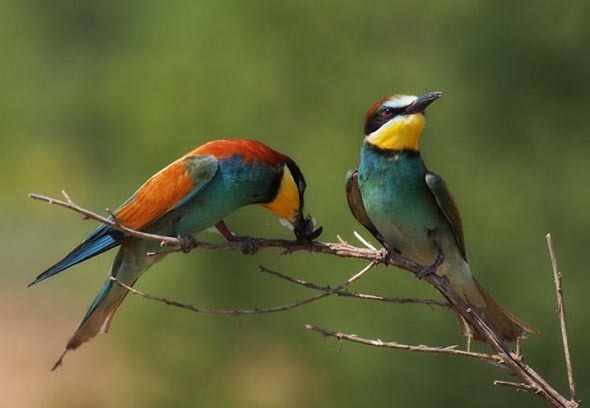 Pack your hiking boots, binoculars, bird book and sun hat for this excursion. Expect to see up to 200 different species of birds including sunbirds, buzzards, herons, bulbuls and an abundance of indigenous plants. It’s ideal to go on a guided tour where you’ll learn about the medicinal uses and folklore of the various plants. The Bushveld Flower Reserve forms part of the Marais Family Farm who have opened up a part of their land to the public. 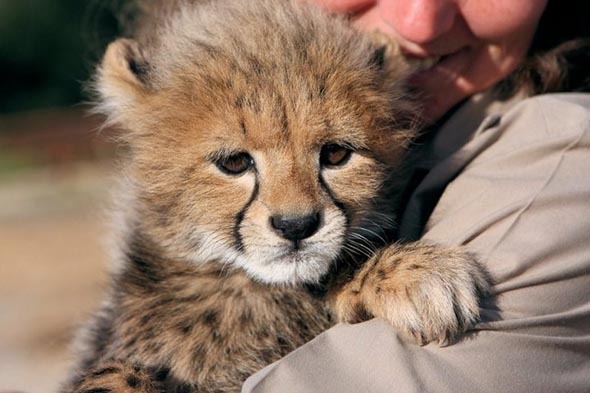 The Daniel Cheetah Breeding Farm is a cheetah sanctuary that opened its doors in 2001 with only three cats. Today, it’s an established reserve where visitors are encouraged to learn about these sprinters through patting and holding them. The idea behind these interactive sessions is to encourage the bonding of animals and humans. The Dung Beetle Breeding Station is part of a conservation effort to breed a specific type of dung beetle named Circellium bacchus, and then to release it back into nature in the hope of diminishing the risks of its extinction. 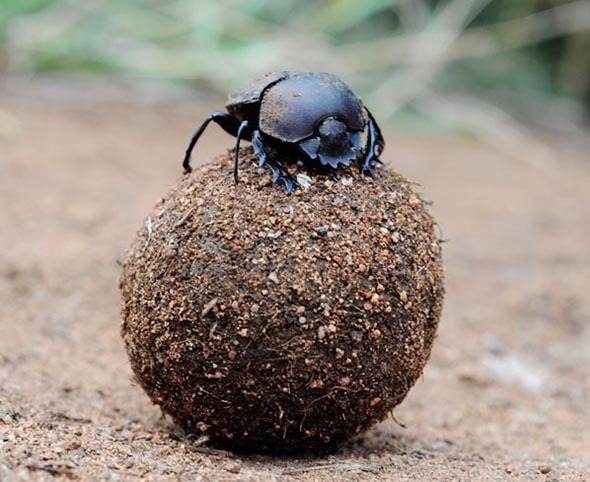 This admittedly isn’t for everyone, but if you have a soft spot for these dung rolling beetles then by all means pop in and learn about how you can help save these critters that are native to the Addo area. 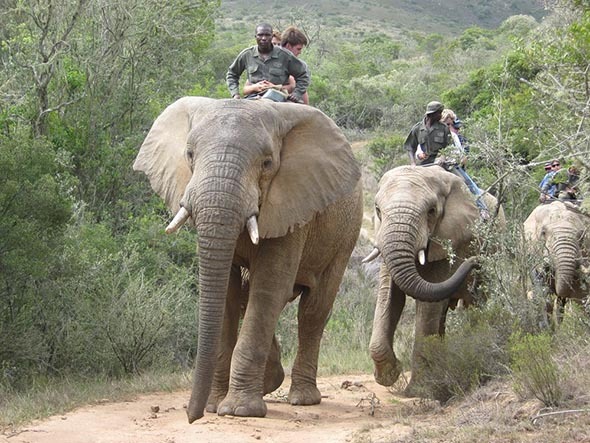 Addo Elephant Back Safaris allow visitors to experience the wilderness of the Addo area from a different position: atop an elephant’s back. With the stunning Zuurberg Mountains providing the backdrop and the gentle swishing of the elephants’ trunks with the excitable chirps of crickets producing the soundtrack to your journey, this is an adventure unlike any other. This is a true African safari at its best.